If you are short of time, the answers to the following 3 questions should let you know all you need to about the Seago SG-507. If I have missed something, let me know in the comments. If you want more detail, you can read the full Seago SG-507 review further down the page. Not that I can tell from a few weeks’ use. My overall impression is extremely good considering the amazing price that this comes in at. It is built to a budget but the actual clean and overall performances is better than you would expect. Sticking around the same price point I would strongly consider checking out the Oral-B Pro 2 2500. It doesn’t offer all the same features for the same price. The Seago beats it, but you do get the confidence of being made by a more recognised brand. A more popular, but still relatively unknown option is the Fairywill FW-917, winner of our best budget toothbrush. 3. 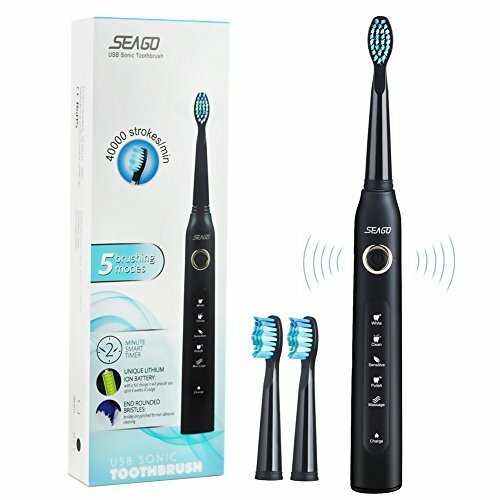 Where is the best place to buy the Seago electric toothbrush? Seago are currently selling the SG-507 through Amazon. Seago are not a brand that I am all that familiar with, but their range of electric toothbrushes drew my attention. The Chinese firm launched in 2003 and has over 600 employees and 4 of their own factories producing dental care products for many markets around the world. Now available in the UK I am taking a look at the SG-507 that appears to be a budget busting brush given what it offers. Unlike the big brands of Sonicare and Oral-B who shout about how good their products are. I am not able to verify or endorse such claims of Seago nor say how they compare in clinical trials and actually cleaning performance to these big brands, but my own hands on testing would suggest they offer similar cleaning performance. 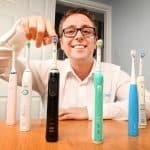 What do I consider to be the positives and negatives of the Seago electric toothbrush? 5 cleaning modes – Multiple cleaning modes to achieve different cleaning results and offer different brushing experiences. MicroUSB charging – Does not rely on the more conventional charging stand option that takes up space in the bathroom to recharge the battery. Battery life – 10 weeks of use from a fully charged battery. Value for money – The price, box contents and performance are really good when you compare it to some of the bigger brand products. Design/materials – The design is smart and acceptable. The product functions, but the materials feel a bit cheap and do not have quite the same quality feel of larger brands. Battery status – Limited feedback on the remaining charge in the battery. Brand awareness – A new brand for the UK market there is not the same added confidence to the support mechanisms and warranty. The SG-507 from Seago comes in a compact and neat little box with the brush handle, 3 brush heads and a charging cable included, all of which are individually sealed in plastic bags. When you first handle the brush the impressions are not all that bad. Available in Black or White colour options, it is the White colour that I am testing here. It is a matt White finish as opposed to the typical gloss White. The handle has a smooth but somewhat grippy texture, it does not feel super slippery. It would be nice to have a rubber grip or some additional gripping points on the brush handle. The brush feels fairly well made, but you do get the feeling that this is a ‘cheaper’ brush handle. It does too feels fairly well balanced in hand. On the front of the brush handle just down slightly from where the detachable brush head meets the brush handle, is the Seago logo in a nice Grey font. Below this sits the power button, surrounded by a Silver plastic trim. It stands out on the brush handle and is itself plastic, not rubber or soft to the touch like some other power buttons. It provides a reassuring click when pressed and is neither too soft or too firm. Below the power button and stretching most of the remaining handle length is a Silver panel. Within the Silver panel are icons with names below to signal the 5 different cleaning modes. Each icon is lit by a White LED when it is activated. At the bottom of this silver panel is a charging icon. The handle itself is rounded, but with slightly squarer corners, not a perfect cylinder like some handles. On the sides and back are no grips or other controls. Take a look at the base of the handle and rather than the typical recess into which a charging pin fits, is instead a cover, that can be released to access the microUSB port. Provided in the box is the charging cable that connects to this port. You can connect it to a USB socket on your computer, to a plug adapter if you have one of a USB wall socket if you have one of those too. If your smartphone or other technology equipment used microUSB you can use those power adapters too. Many brushes charged from the 2 pin socket found in UK bathrooms, but with USB now so common, it is a beneficial method of charging for some. Personally, I quite like this approach, but for those more used to other charging options this might be a hassle. The cover that protects the port has a nice amount of play It does not feel like it is going to easily break or snap off and it fits back into the base of the brush handle nicely to seal it from moisture. At the neck of the brush handle is where the brush head fits onto. Where most brush heads pull straight off and push back on, this has been designed slightly differently in that the fitted head needs to be twisted about 45 degrees to the right to unlock it and then pull it off. Once off, push the new one on and twist about 45 degrees to the left to lock it in place. 3 brush heads are included in the box, all of the same design and these are made from a slightly glossier and cheaper looking White plastic. There is a slight colour difference between the brush handle and the brush head. Each brush head comes fitted with a small plastic travel cap. These are neat and protect the bristles, but small, clear and easily lost. Seago do not state is these bristles are supposed to be soft or firm, but to me they feel firmer to the touch and in use. Some might find these a bit too harsh than the softer brush heads you are used to. I have not put the head under a microscope to check, but they are supposed to have rounded tips to each bristles for a softer and less abrasive brushing experience, which is good to know. Getting 3 brush heads in the box is nice and means you are covered for the next 9 month’s or so. Sadly, I could not find the exact same brush heads available for sale on Amazon. Similar heads are being sold for this model by Seago, but they seem to be a different cut and profile. This may change. So, the brush has 5 cleaning modes built in. Each mode is accessed via the power button. Press it once to turn the brush on and keep pressing it to cycle through the cleaning modes. The mode selected will light up as the power button is pressed. The mode can be changed mid clean, but cannot be selected pre-brushing as this turns the brush on. Press and hold the power button for about 3-4 seconds and release to turn the brush off. It does automatically turn off after the normal cleaning cycle has finished and does too remember the cleaning mode last used. So, if Polish was the last mode used, that is what you get next time the brush is turned on. How do the different cleaning modes differ? According to Seago, the modes work as follows. White – Recommended to remove surface stains to brighten your front teeth and for ultimate cleaning and whitening. Clean – Extra gentle mode for sensitive teeth and gums. Recommended for everyday use. Sensitive – Recommended for those with gum recession, braces, sensitive gums and teeth. The bristles vibration strength changes from weak to strong to help you easily get used to our Seago sonic toothbrush, great for first time user. Polish – Recommended to increase shine on teeth. You will notice a different kind of vibration when you activate the polish mode. Quick 2-minute mode to brighten and polish your teeth. Message – A great mode for individuals with sensitive gums. Fluctuating vibration provides a message clean that is gentle on your gums. The motor built into the brush handle offers a maximum of 40,000 movements per minute, so this brush is pretty powerful and comparable to Oral-B and Sonicare brushes. I found the overall clean to be good, my mouth did not feel dirty or poorly cleaned after use. Different people may enjoy the different modes, particularly if you want a more sensitive of lesser powered clean. As the brush is powered on, the built in timer is too activated. This timer has 2 parts to it, the 2 minute timer, which will automatically turn the brush off after 120 seconds, as this is the dentist recommended cleaning time. This is a neat and handy feature in my opinion. There is then the 30 second pacer, that at 30 second intervals pauses the movement of the brush head to singal to you it is time to change quadrant. One of the most recommended cleaning routines is that of breaking the mouth up into 4 sections, upper right, upper left, lower right and lower left and brushing each for 30 seconds. The pacers pausing is the signal to change quadrant and help ensure an even clean across the teeth and mouth. You should be aware that brushing with an electric toothbrush requires a different technique to that of a manual brush. You may want to check out our guide as to how to clean your teeth properly. One feature I enjoy on some other brushes, notable Oral-B is the inclusion of a visual pressure sensor. This lights up when you are applying too much pressure as you brush. The Seago does not have this, but if you listen, if brushing too hard you will hear the motor straining. The handle is IPX6 rated so this means you can happily rinse it off under the tap with water, but don’t go submerging it. It does too come with a 1 year warranty should anything go wrong. Built into the brush handle is a Lithium-Ion battery. 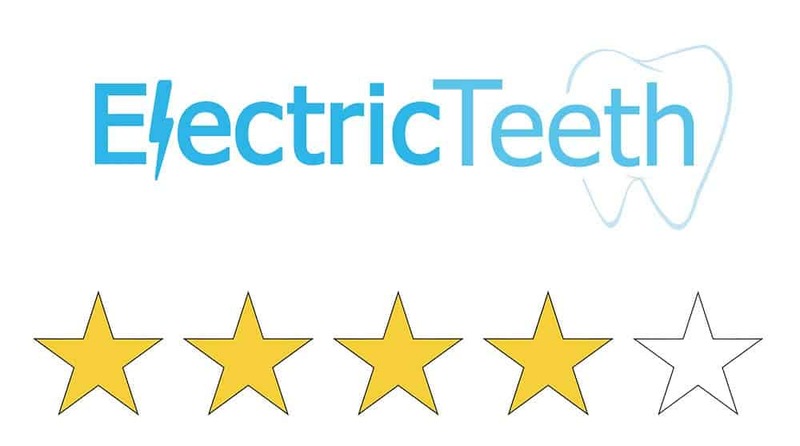 Most electric toothbrushes offer a minimum of 2 weeks battery life, but unbelievably it is some of the cheaper models like this that actually offer the best battery life. My own hands on testing found the brush lasted for 290 minutes of cleaning time, which based on 2, 2 minute cleaning sessions per day is just 72 days of usage between charges. When it comes to charging, the microUSB port built into the base of this brush is quite convenient and does not rely on having a socket in the bathroom. It does mean that you cannot quite so easily top it up between uses as you will likely need to move the brush out of the bathroom for charging. However, when typically it needs charging only once every 10 weeks its not a massive issue. A charging cable is supplied, but you can use your own if preferred. The microUSB connector is fairly common, meaning you may likely have a mains power adapter suitable for it. The USB cable in the box does not come with a USB plug adapter, but these are easy and cheap to source if you want one. You can even charge from your laptop or desktop computer if you like. When connected to the power, the charge light will illuminate. If it goes out, it means the brush is now fully charged. The brush automatically stops charging when it reaches the maximum capacity to avoid overcharging. When power is really low in the battery, the charging icon will flash 10 times. That charging icon is Red in colour. The battery life is good and more than acceptable, but it would be nice to have an extra bit of feedback. For example, what if it was a Green light from the charging/battery icon if the charge was 50% or more. Yellow if between 10-49% and Red only when less than 10%? A bit more feedback would be a helpful guide to the remaining power in my opinion. It can take up to 10 hours to fully charge the brush and it is perfectly fine to top up the charge as and when you desire. Another big benefit of the battery is that it will generally have enough power to last most trips you may take with it. If you do need to charge it when travelling, the cable is small and easy to transport with it. I do believe in the fact that you often get what you pay for. The Seago has a suggested retail price of £90. DO NOT PAY THIS. More often than not the brush is actually being sold for around 80% less at circa £20. At this price you are getting a lot of toothbrush for you money, in my mind. I don’t want to see you spend more than you have too. If you were being asked upwards of £40 for this brush, I would seriously suggest considering a different toothbrush. You might not be getting quite the same quality and reliability as other products, but at this price does it matter? The Chinese firm is certainly challenging the big names. Whether you want to opt for it or not is personal opinion, but roughly speaking I would suggest for £20 you are getting what Sonicare or Oral-B would charged upwards of £80-100 for. It is difficult to make direct and fair comparison, but you get the idea. You can get Sonicare or Oral-B models for this price of around £20, but they certainly don’t offer all the same features. The box contents is great, with 3 brush heads included that saves some cost too. A pack of 5 costs around £8 making them just £1.60 each, yet again a fraction of the price of branded options…however the big brands do offer a range of choice and some peace of mind in their testing. Using the average cost (based on one user) and ownership over 3 years, the SG-507 will cost £35 or £0.03 per day to own. I think this might be one of the cheapest electric toothbrushes to own, that I have ever tested. The Fairywill Sonic toothbrush is the closest matched in terms of price and features. The Oral-B Pro 600 or the Sonicare CleanCare+ is the closest quality alternatives matched in terms of price, but it is the likes of the Oral-B Smart 4 or 5000 that has a similar of cleaning modes, having said that their box contents is then better. As is standard for any brush that comes into Electric Teeth HQ, we will test it as best as we can. These are not lab tests, we are not a specialist testing house nor have multi-million pounds worth of specialised equipment to stress test this product. We are individuals like you and we just use the brush and with a keen eye assess the details and make judgement and comparison to other brushes we have used. The brush head fits on well thanks to the locking design. The rubber cover on the base of the brush has a nice flex and play to it when opened. It is not tight and prone to snapping off all that easily. It fits back in nicely to create a seal. This is however likely the weakest point that we can tell. It does come with a 1 year warranty from Seago. Given that they have been producing such products since 2003, build quality and reliability should be up there. I have not tested their warranty to speak first hand as this unit functioned for the week on test. Many other brands do offer longer warranties, but often you pay a premium. This is not the best electric toothbrush I have ever used and it would not be the brush I would recommend to everyone. However, the performance and build is more than adequate when you really consider the price you are paying for this brush. The battery life in particular is very impressive. The Oral-B Pro 2 2500 would be my normal recommendation, but you simply do not get the same value from them as you do Seago. If you really want to get the biggest bang for your buck, then this is without doubt a serious contender. To me the clean felt good and despite a few negatives, the positives really shine through. It comes with a 1 year warranty but for the £20 it costs, it is probably less hassle to just buy a new one. I do not like to endorse a cheap, throw-away-style mentality, but you could essentially have a new one every year and not be far out on the cost of buying an equivalently featured Sonicare or Oral-B, if that is your inclination. Do you own or have you used the Seago SG-507 toothbrush? I have one of these and am trying to find out when to change the brush heads. I guess 3 months? Bristles are turning white near the top of the brush. I like this toothbrush because it is more gentle than some others I’ve tried. 3 months is the recommendation in most cases. If the bristles appear to be wearing out faster (splaying, splitting etc) then do replace the head sooner, to avoid doing any unnecessary damage to the teeth and gums. I’m keeping an eye on the bristles. I have new brush heads at the ready.